Barcelona dances. 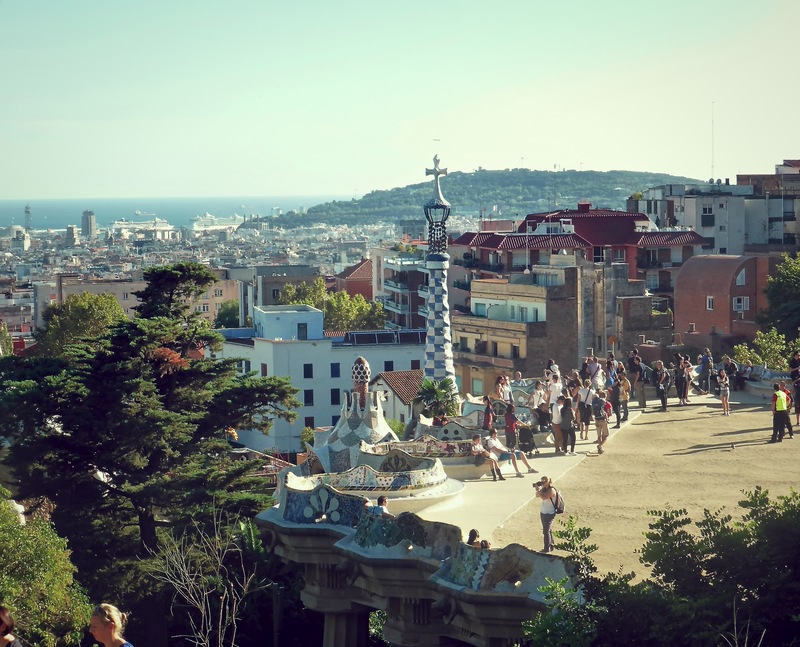 Every city’s got a rhythm, every city’s got a beat, and Barcelona’s is a flamenco dancer: her hips swirl, her feet stamp, she tosses her head and flings back her arms with the kind of effortless grace and artistry people spend their lives searching for. You don’t have to be there long to taste it. The music moves in everything. You feel it as you’re pushed along the river of people on La Rambla, under the warm green light of the poplar trees – you know the kind of light that you think must be warming your soul, it feels so good? That’s the kind of light you get in Barcelona. The music moves in everything: you can feel it in the thrum of evening banter emanating from around La Boqueria market, stall upon stall of the famous Iberian ham and chilli peppers and every food imaginable, all penned in by endless tapas bars spilling onto the street. Passing through the great iron gates is like entering the bird house in the zoo, the same churning, chattering vortex of colour. Everybody’s dancing in this city, and everybody knows it. But what can you expect? This is the city that produced Antoni Gaudí. 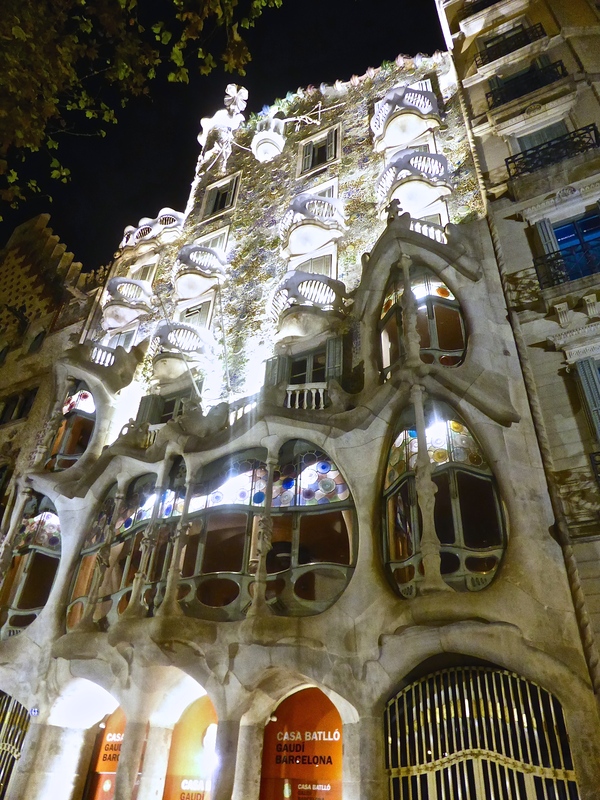 The night I arrived in Barcelona it was the first thing that hit my eye, as I was buoyed up like a cork from the depths of the sweating, filthy, churning underground, the vision that is Casa Battló lit up at night. I laughed when I saw it. I thought I was on Saturn, I thought I was dreaming. Surely this wasn’t any structure of earth that I was looking at? 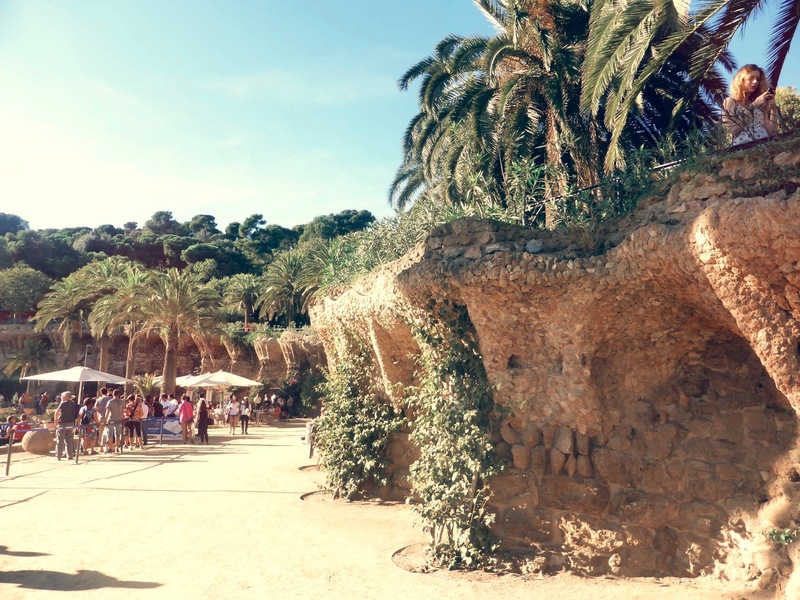 And Park Güell – you walk around Park Güell, Gaudí’s pride, Gaudí’s joy, and you just cannot comprehend how a human mind came up with this. The idea was to create a haven for the richest Barcelonians, high up on the hill of El Carmel looking out over the wide expanse of tumbling metropolis and to the shining Mediterranean beyond. But interested buyers were few and far between, and so the project trickled away into nothing, until all that is left is an urban park that looks like a half-constructed dreamscape, the ruins of some ancient long-forgotten civilisation. When I say Barcelona dances, I mean that it dances. The Porter’s Lodge in the centre of Park Güell is one of the few residences that was completed before the money dried up: it gives a taste of what might have been, and so we’d been waiting for what felt like hours to get in – time stretches so long and heavy when the sun beats down on your head as it does in the dying days of October in Spain. The people in front of us had been chattering away to each other like songbirds in a lyrical mixture of French and Catalan, and now they pulled out a boom-box from somewhere and they began dancing, right in the middle of the square, with all the hundreds of people milling around. They were bored and so they danced, the salsa or the tango or something. It wasn’t beautiful because it was practiced, it was beautiful because it was spontaneous. I watched, with the smile on my face that I’ve been finding a lot since I came to the cultural jungle that is Europe, like my face isn’t big enough for all the happiness. I waited for the other people in the lineup to start looking embarrassed, and then annoyed because they did not like to be made to feel embarrassed. But they didn’t. North Americans despise spontaneity and they shy away from passion: they mistrust anything that make them feel awkward. But when you want to dance, in Barcelona, then you dance. Catalan music is not made to simply be listened to. Nobody questioned the dancers and nobody batted an eye. Everybody feels the beat that runs through this wild and passionate flamenco dancer of a city. They don’t ignore her. Instead they take her in their arms and they let the music that Barcelona is made of flow through them like running water, because that is what you do when you are greeted with the kind of passion and beguiling, unadulterated humanity you find in this incredible city: you let a little bit rub off on you, and you let your feet dance. 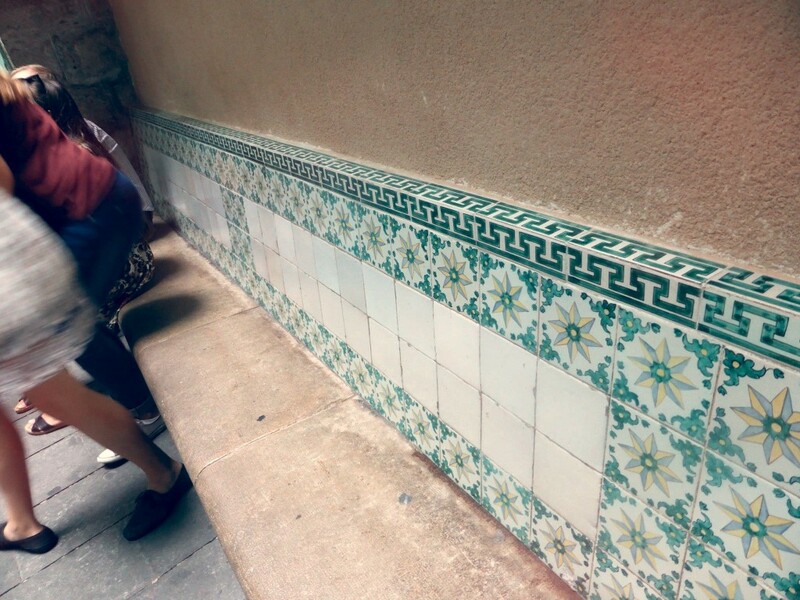 This entry was tagged barcelona, culture, dancing, erasmus, go global, park guell, travel, year abroad. Bookmark the permalink.